Maverick Enterprises is an elite secondary closure provider for the wine, distilled spirits, and specialty foods industries. We produce over 3 million capsules per day on our 24 production lines. Maverick is a domestic supplier providing custom and stock closures to a majority of Napa Valley and Northern California as well as all across the United States. Our two facilities are located in Ukiah, CA in beautiful Mendocino County. We are a fully vertically-integrated manufacturing facility which means we perform all functions in-house. Maverick prints raw material with custom ink, slits the material and then forms the capsules all in their own facilities. However, what sets Maverick even more apart from anyone in the industry? 3 things: We take enormous pride in providing industry standards in customer care, technical services and high quality products you can't get anywhere else. Maverick provides custom color matching, award-winning rotogravure printing and innovative capsule manufacturing. Through our manufacturing process we're able to produce the highest quality custom capsules in the industry for our customers. 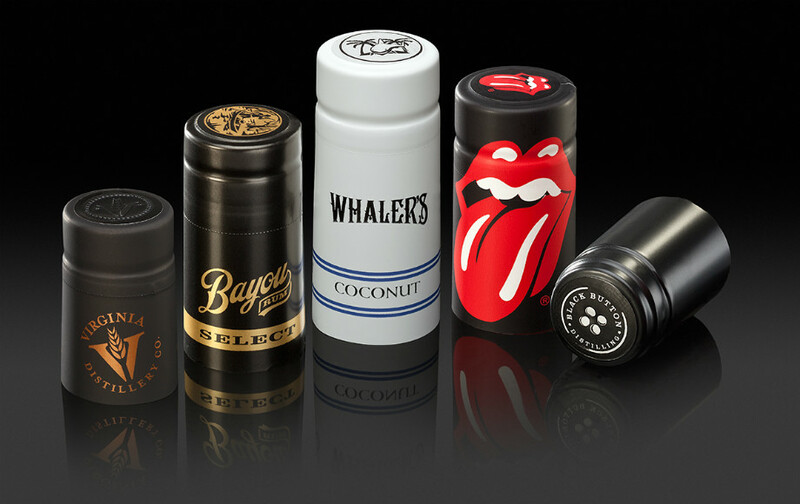 We produce the following capsule substrates: PVC (heat shrink), Polylaminate, Almost Tin Premium™ (Thicker poly for those not-so-poly friendly bottles) and champagne capsules as well as our CapASleeve™ (PVC capsule without a top disk for those that might use a t-stopper with a custom design). For those customers who may need smaller quanitities of capsules we also carry a wide variety of stock capsules that can be ordered in quanitities of 1 box and above at cost effective prices for our customers. Our web store is readily available, 24 hours a day, 7 days a week and we fill orders within 2-3 business days. Every capsule project is printed with custom mixed inks developed by our professional ink technicians. Our technicians are able to match an array of different color samples, ranging from Pantone swatches, labels or packaging material. We offer pre-press appointments for difficult color matching and press checks to ensure consistent color. Our electronic ink management system stores all of our custom formulas to ensure a perfect match every time. At Maverick, we print and form 100% of our capsule orders. This assures top quality and faster turn around for your bottling needs. No project leaves the US for production making Maverick one of the few closure providers that offers completely domestic manufacturing where you can track your project from inception to delivery with our customer care team. Our In-House Design Team works closely with both Print and Capsule Production and endeavors to optimize your artwork for the best quality and branding possible for your products. We work with customers to ensure the designs they are receiving are exactly what they asked for and work to ensure we can provide one of a kind art for projects each and every time. Maverick's whole process is dedicated to an end quality product that we check every step of the way. Our press department pulls for the best color match possible, prints that material where it is verified by our ink technicians for color, then checked again by our slitters to ensure the highest print quality. Maverick's Quality department then inspects all capsules and material that runs through our forming machines to make certain that each customer receives quality capsules each and every time. Our technical field representatives provide on-site assistance to ensure your capsules are applied with the highest quality and efficiency. We provide application specifications for our Polylaminate and PVC capsules to assist your bottling line personnel in optimizing and troubleshooting bottling equipment. Our technical reps can also share their expertise on bottling line equipment and any required adjustments to optimize application of our capsules. Polylaminate capsules are comprised of a three layer aluminum-polyethylene-aluminum seamed skirt and aluminum top disc. They provide a professional and cost effective packaging solution. 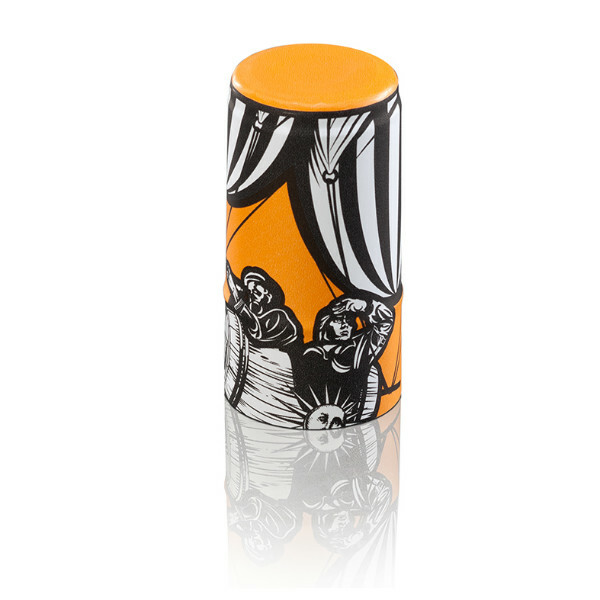 Polylaminate and Almost Tin™ capsules can be hot stamped and have a variety of top artwork options. Both substrates can have a C-Cut tab added for easy removal. Our Almost Tin™ capsules are comprised of a more durable three layer material that is a great recyclable and less costly alternative to tin capsules. Almost Tin™ is optimum for bottles that present challenges with spin down (this also includes bottles for distilled spirits, which have custom shaped necks). PVC capsules can be an economical alternative to traditional Polylaminate or Tin capsules. PVC comes in an array of colors, which can provide more options for artwork layout and design possibilities. These capsules are comprised of a PVC skirt and an aluminum or clear top disc. PET(G) capsules can be a more environmentally friendly capsule option. The process for printing both PVC and PET(G) is the same, as well as forming. Tear tape is available for both substrates. Champagne capsules are a combination of a three layer Polylaminate body and a paper foil or aluminum top disc. They provide a clean and premium finish to champagne packaging. The skirts can be printed or hot stamped. We also offer a pebbled texture that is applied during our forming process. All champagne tops are printed. Ventilation holes (grillages) and tear tape are also available for these capsules. Hot stamp foil can be applied to all capsule substrates but PET(G). Hot stamp material is ordered based on the foil callout indicated by the customer and cannot be shown in our draw down process. We generally match KURZ or Crown hot stamp colors, but can special order material upon customer request (this may or may not be subject to testing prior to forming if not part of our standard colors). A bottle sample is required for all Maverick capsule projects to ensure customer satisifcation. We provide accurate sizing based on the bottle dimensions, placement of any additional labels (neck labels), desired fit and the type of equipment used during bottling. Each bottle is reviewed for optimum placement of tear tab removal feature and custom artwork by our team prior to production. We offer removal features on all of our capsules. Tear tab/tape is only offered for PVC, PET(G) and Champagne capsules. For those substrates we also offer perforations and notcherations. Below are our available tear tab colors. CapASleeve™ is an alternativePVC capsule without a top disk. Maverick Enterprises Customer Care Dept. at (707) 234-6103 or your local Representative. For more information on our stock capsules please visit our web store at www.maverickcaps.com/webstore and review capsules by substrate to order. Printed material ready to be formed in our Cap Shop. Here at Maverick we pride ourselves on quality and check all of our printed material before it is formed in our forming dept. We can fit any bottle for your capsule needs! CapASleeve™ is an alternative PVC capsule with no top disk. For more information please visit our CapASleeve™ Tab or our Products and Services Tab. Maverick has Stock Capsules! For more information visit our Stock Capsule Tab or call us at (707) 463-5591 x 159. Maverick has the capability of creating picture perfect, high quality images on capsules by using their 4-Color Process. By using 4 colors- Cyan, Magenta, Yellow and Black or CMYK Maverick can reproduce photographic quality on a capsule with elaborate, brilliant colors. Maverick has technical support on site and ready to help answer your questions, make appropriate adjustments on your bottling line and help ensure your capsule application runs smoothly. Adam Hewitt, on behalf of Green Earth Solutions accepting an award from Maverick for his work with our team to help keep recycling in Northern California sustainable. Do you ever wish as a company you may place a beautifully branded capsule on your bottle to finish off your packaging for the small batch of reserve wine your bottling? Maybe you are looking to change your package temporarily for a special event and would like to spruce up your capsule with artwork of the award you just recently won at a tasting competition? No matter the reason, there are numerous times throughout a brand’s life where wineries feel it may be time to make some changes, but with the costs and time involved the idea of changing becomes something that isn’t done as often as one might like. Maverick, with the support of our ownership group Sparflex, is now able to offer custom digitally printed capsules to our customers through the Creative Digital line by Sparflex. Whether it’s a small run or a larger one, we’re here to support our customer base and provide the industry an outlet to print a wide variety of color options that are best suited for digitally printed artwork. At the heart of Sparflexs’ innovation process and convinced that consumer markets will look toward ever more sophisticated packaging, digital printing is a qualitative response to products with special creative needs. With Creative Digital, Maverick is here to help our customers in the US and around the world with intricate designs and colorful layouts making the possibilities for an imaginatively thought out capsule endless. Have You Heard? Maverick Now Has Custom & Stock Wire Hoods! As Maverick continues to grow and expand, so does its capabilities in the industry and product lines. With our ownership team Sparflex, through our sister company Le Muselet Valentin we now have the ability to offer custom and stock wire hoods at Maverick. Whether a large or small order, Maverick works with our customers to provide superior products and services to the sparkling wine industry and wire hoods are no exception. Crafted with the utmost care and technical expertise, Maverick can provide orders as small as a couple of boxes with digital printed technology up to thousands more with other forms of advanced printing, embossing and debossing. Numerous color options are included both for tops and wire we have to offer as well. Maverick has a newly dedicated page on our website featuring custom wire hoods and further info at http://maverickcaps.com/wire-hoods.html. We are also excited to announce our line of stock wire hoods available now through our web store at http://maverickcaps.com/stock-wire-hoods.html, 24 hours a day, 7 days a week as we process orders within 2 business days to ship to our customers. We have black glossy, gold, and silver available by the box ready to ship as required. Stop by our website and place your order with our team today! For more information on our products visit us at www.maverickcaps.com or call us at 707-463-5591. Fore more information on our products please visit our website at www.maverickcaps.com and let us know how best we can help you with your products. Ukiah, CA. - Maverick Enterprises, Inc. is pleased to announce it was named winner of 3 Pewter Awards in the Annual Gold Ink Awards Competition as announced by Printing Impressions magazine. 49 different categories. Winning pieces were chosen based on print quality, technical difficulty and overall visual effect. Each capsule signifies a detailed artwork layout, tight registration, and over all exemplary rotogravure print quality the Maverick team personifies with each project. Maverick Enterprises, the premier supplier of secondary closures is known for high quality custom and stock capsules, customer service and technical support in the wine and distilled spirits industry. They have won numerous awards for their rotogravure printing, and hot stamp capabilities as they continuously raise the bar in wine capsule manufacturing for the industry. Ukiah, CA. - Maverick Enterprises, Inc. the leading supplier of secondary closure in North America, is excited to announce that they will now be supplying tin capsules to their customers and the industry. Maverick has recently added this product to their online web store at http://maverickcaps.com/stock-tin.html, which allows customers to purchase a single piece tin capsules with no seam made out of PURE TIN ingots by their sister company Rivercap in Spain, a subsidiary of Sparflex. These are available 24 hours a day 7 days a week and turned within two business days. Maverick also has the ability to supply custom tin, a sign of art and distinction, enhancing wines and spirits with quality and luxury. “We’re especially excited with our new alliance with Rivercap Spain to be able to round out our closure portfolio with quality tin capsules.” Jon Henderson, Executive Vice President of Sales & Business Development said about the addition of tin at Maverick. Whether it’s a beautiful reserve or a high end varietal you want to enhance the brand with an elegant tin capsules, call the Maverick team today and find out how they can help with your custom and stock tin capsule needs, 707-463-5591. Maverick Enterprises, Inc. the leading supplier of secondary closure in North America, is pleased to announce its launch of our newly revamped website at http://maverickcaps.com/index.html aimed at helping customers understand their products and begin your next project with the Maverick team. The new website combines a comprehensive listing of their products, sustainability, careers, news updates and even provides an easily accessible webstore for your stock capsules needs. Their newest products like Tin, and Almost Tin Premium™, PVC, Poly and Champagne, all available to purchase by the box online 24 hours a day, 7 days a week. The site tremendously helps customers review products, information regarding each substrate and ultimately ask questions in which they can provide quality customer service. Customers will be able to stay up-to-date with their new products like their newest line of stock tin capsules and manufacturing of custom tin with PURE TIN ingots by Rivercap as well as upcoming new products on their way to Maverick like their stock wire hoods due in October. Visit the new site today and contact the Maverick team for your capsule needs today! Stock Tin Capsules Now at Maverick! As Maverick's stock program continues to grow and provide quality capsules to our customers large and small we look towards the future to offer an array of new products this year starting with our brand new line of stock tin capsules. Made of PURE TIN ingots by Rivercap and comprised of a single piece capsules with no seam, serves as a sign of art and distinction enahancing wines and spirits with quality and luxury. Many sizes and color options are available. These luxurious capsules are also available on our web store at http://maverickcaps.com/stock-tin.html 24/7 for orders placed at any time and we will respond within 1 business day. Minimum orders of only 1 box and orders are turned within 2 business days. Call us today or email us at swhite@maverickcaps.com for further details and samples for your high end wines! On August 9th Maverick will be participating at the Wines & Vines Packaging Conference held at the Lincoln Theater in Yountville. We will be stationed at booth 35 at the show for customers to talk to our Customer Care Dept. about your next project. Our team will be available to answer questions and review current available options for your capsule needs. These could include custom options for your still and sparkling wine, or stock capsule options as well for smaller brands. Maverick will have samples to review of Poly, PVC, Almost Tin Premium™, Champagne and even our newest options available in tin, both for custom and stock. Stop by booth 35 on August 9th and see all what Maverick has to offer. We look forward to helping you and your team! Bottling This Spring? Call Maverick for Your Capsules! Happy Spring Everyone! With the new season upon us we all know it’s that busy time of year where our industry is gearing up for bottling the upcoming vintage. We at Maverick understand how important it is to have the right packaging provider on your side for your branding needs. At Maverick we offer excellent customer service, attention to detail and high quality closures you can depend on. We are the leading manufacturer in PVC, Poly, and Champagne capsules in North America with an abundance of knowledge in the industry to offer. With over 25 years’ experience, our goal is to provide our customers with the ultimate packaging experience in all facets of our business. From artwork and color layouts to exceptional manufacturing quality, we we’re here to serve our customers and make your brand come to life. With a plethora of design and color options, let your imagination run wild and call us today to begin your next project with our team! Maverick Now has Stock Champagne! At Maverick we work to provide customers with a plethora of option for your capsule needs. No matter the size of the customer or order Maverick carries a variety of stock capsules for your brands. We currently produce and stock Polylaminate, PVC and Almost Tin™ for our customers all held in stock with reasonable prices, quick turn times, a stock web store available to customers 24/7 and no hassles. Maverick now has added our newest line of stock Champagne! These capsule are sized at a 34x123 and come in 4 colors: Gold, Copper, Black Matte and Silver. These 4 options are available starting March 5th for our customers. Boxes will come 2,340 to a box and are a standard one color flood coat for each item. If you are in need of a champagne capsule that is cost effective for your products contact us today at 707-234-6104 and swhite@maverickcaps.com for more information and sample request. Visit our website at http://maverickcaps.com/stock-champagne.html see photos and further information to order online today. On October 16, 2017 Maverick’s MavGreen Earth Program began with the idea in mind to continue our responsibility to lead in an effort for a sustainable green company in packaging for the wine industry. The newly formed company, Green Earth Solutions, has partnered with Maverick to help bring recycling to Ukiah and surrounding Northern California locations by allowing Maverick to begin recycling stretch film per the State of California standards as managed by Cal Recycle, corrugated cardboard and upcycling our wooden pallets. As part of the Cal Recycle program, Green Earth Solutions' Adam Hewitt, pictured above in the middle accepting an award from Maverick on his work in sustainability with our team and pictured to each side of him is Alia Diaz, Purchasing Generalist and Adrian Lopez, Strategic Sourcing Manager for Maverick presenting the award. Hewitt, has said his company is one of only two companies in the state the reports directly to California on recycling and is the only company located in Northern California to be recognized. Since the inception of this program at Maverick and the newly formed business, here have been numerous companies in the Ukiah area alone that are working on their sustainable efforts. Through this same process Pamela’s Products, Rainbow Ag, Mendo Mill, Willits Unified School District, and Northbrook Health Care that are large supporters and businesses in the community and other smaller companies that have begun their own programs giving back to the environment. Maverick’s continued dedication to sustainability provides our team a wealth of resources, helping to create a positive impact and giving back to the earth in a monumental way. With these results forecasting only a 3 month period Maverick looks to create a future that for our company that consistently delivers results and improvements in sustainability. You’ve painstakingly crafted a wine that you’re ready to bring to market and now comes the marketing and presentation phase of production. You are at the stage of bottling your new product, and you are thinking about all those little details. What will I use to cover my corks? What application technology is going to work best for me? What materials are available? What are my graphic design options? This may not seem like a make or break moment for your product and it won’t be if you work with the right provider. Bottom line, you need to know that the product they are creating for you is going to create the image and look you want while also providing the safety and security that is necessary. Maverick is here to help you with that. We’ve been designing and manufacturing the best stock and custom shrink caps for wine bottles and other spirits since 1992. Wine capsules, or shrink caps, serve an important functional purpose but also look at them as a branding component for your product. You will want them to look professional, clean, and sophisticated. Of course, all of this depends on the type of flair and look you want your product to capture. It also matters what your product’s brand message is. The more information you have about these target audience, the promotional materials you plan to use, and the overall brand you hope to build, the better. When you work with Maverick, you’ll work closely with our team to learn about all of the options in PVC capsules, talk about materials, color, images, logos and much more. Each year numerous attendees flock the The Unified Wine & Grape Symposium to see the many wine industry suppliers lining the halls of the Sacramento Convention Center. This year Maverick will be in attendance as usual and will be located at booth 1140 to help customers with their custom and stock capsule needs. We will have our talented customer care team on site to help answer your questions, discuss your latest project and find out what you might be looking for, for your wines. Maverick will also have stock capsule samples on hand for customers to review, take home with them, giveaways, a drop box in which you can place your business card in to be contacted for a quote and much more. Stop by booth 1140 at the show, see our many products we offer and how best we can help you. For more information on Maverick and our company please visit our website at www.maverickcaps.com or give us a call at 707-463-5591. Maverick Enterprises, the leading supplier in secondary closure for the wine and distilled spirits industry serves as the largest closure supplier in North America. With this position, we at Maverick feel a continued responsibility to lead in our efforts for a sustainable green company. As such Maverick has been in search of a company who will work to allow us to recycle certain items from our facility that most here in California have found to be very difficult. In an effort to find a source to divert items such as corrugate, pallets, and stretch film away from landfills, our team was in need of a solution that would be environmentally impactful and began researching and speaking with numerous companies. After learning so many contacts in the recycling industry do not have these abilities still, and others who were unable to service this area of Northern California we were fortunate- enough to team up with someone who felt this cause was one of missed opportunity. On October 16th Maverick launched our initiative, the MavGreen Earth program that will mark the beginning of Maverick earning the state certification as a ‘Green Certified’ company within the next year. Along with our continual efforts in sustainability and turning our community into a global movement, Maverick’s new program will also put our company on the path to achieve becoming a company that is for profit, but works to solve social and environmental problems, known as a Business Corporation or B Corp.
With numerous other companies in the Ukiah area getting on board and starting their own programs from the determination of Maverick and Green Earth Solutions, we look forward to seeing companies thrive in Mendocino County in their renewed sustainability through this lasting partnership. (Philadelphia, PA) Printing Impressionsmagazine, producer of the annual Gold Ink Awards,announced that Maverick Enterpriseshas won a PewterAward for the entry, titled Black Light in the Flexible Packaging category. All winners can now be found at http://www.GoldInk.com/winners-revealed. • Potpourri and many more! Winning pieces were chosen based on print quality, technical difficulty and overall visual effect. Maverick’s Black Light capsule, using their rotogravure 4 color process brought a unique blend of colors into a tie dye image that provided a high quality print and deserving winner of one of this year’s awards. As time passes and the more intricate bottles are made, many times customers not only choose their capsules based on price points and look of product, but also on fit of overall capsule on the bottle. However what happens when a large transfer bead is present on a premium bottle? Wineries choose to use tin capsules in order to fit their brand expectations as well as the overall fit for difficult bottles, but what many aren’t aware of is that there is a solution for those that want a more cost effective, solution to their problems, and it lies in the Almost Tin Premium™ (ATP™) capsule here at Maverick. Maverick has created a proprietary new blend of poly that is a thicker, more durable layering allowing customers with complex bottles to utilize this new substrate for a fraction of the cost. It’s smooth and sleek application make for a high quality spin down and overall a one of a kind fit for your bottles. No more cutting, no more wrinkling and a far better price. This material is offered both for custom capsule we can manufacture and in premade stock capsules available by the box. Whether a large order or small one, Maverick has you covered! Call us today for samples and ask us how our Almost Tin Premium™ capsules can help you! As the industry is always looking for new ways to continue to put new and inventive features on their wine packaging and closure so does Maverick look for innovative ways to raise the bar in features that can be provided to our customers. One such feature Maverick has added to its capabilities is an emboss and hot stamp feature. This feature allows customers to use this feature has a better enhanced emboss in which a higher quality hot stamp can be used to decorate capsules. Lines can become thicker, artwork can have more bulk and substance all while maintaining a bright and bold raised feature on the top of customer’s capsules. Are you looking for something that stands out to consumers and really highlights your logo or artwork? Call us today and see how we can make your features and artwork stand out on the shelf. 707-463-5591, www.maverickcaps.com. Spring is here! You know what that means, right? Every winery is well on their way to bottling through the spring and summer. When was the last time you evaluated your suppliers and determined if you were indeed getting a good deal on your products and working with a team you trust, and work well with? At Maverick we strive to offer nothing, but the best quality capsules and customer service in the industry allowing our customers the creativity to design with us the perfect capsule to meet your needs while we take care of the rest! Domestic Supplier: Maverick is the only 100% domestic supplier in the United States. We have a manufacturing facility that is fully vertically integrated, meaning we print with custom inks on raw material, slit, form and ship all from our facility in Ukiah, CA. No hassle, no large time differences! Dedicated Customer Service: Each customer has a customer care representative dedicated to help you with each of your new project giving you a one on one experience you need to work on your latest packing and be able to track your project from inception to delivery. Highly Skilled Production Team: Maverick has been in business for nearly 25 years, with many of our team being with us for numerous years and some as long as the company has been around. With a combined totals of over 100 years of knowledge our team has the highly adapted skills to help you with even the most complex capsules. In-house Design Team:Maverick has an in-house design team that works closely with our customer care team to provide assistance and ready artwork for production. The design team works with both existing artwork or can help customers create new artwork for the packaging needs. Quality:Maverick’s quality is above all as we work to set the bar in quality products our customers can depend on. Each step of our production goes through quality inspections, ensuring our customers consistent and dependable capsules each and every order. What are you waiting for? Give us a call or visit our website and ask how we can help you with your capsules. Cost Effective: Maverick’s stock are cost effective ranging as low as $28/K for certain items! Time Saver: Instead of going through the hassle, designing and repackaging of a custom capsules, purchase stock and save money and time! Variety of Options: We offer a variety of colors, and substrates including, PVC, Poly, Almost Tin Premium™ and Champagne all ready to ship. Diversifying Your Brands By Color- Looking to diversify your brands by individual packaging colors? With Maverick you can purchase a box of each color you need or more and change your packaging quickly and easily. Help in a Pinch: In a hurry to finish your packaging so your product can hit the shelves? Utilize Maverick’s stock program while you have custom closures produced! Turn times: Maverick turns stock capsule orders around in 2 business days for our customers. 24 hour purchasing: Maverick is open during business hours to accept orders over the phone, but when we’re not open and you need to make sure an order is in, what can you do? Most places can’t offer assistance after hours, but we can! On Maverick’s website you can purchase stock closures through our webstore 24 hours a day, 7 days a week and we work to process them on the next available business day. Storage space: Don’t want the hassle of having to store stock throughout the year for use? Maverick’s stock capsules are available all year around so you don’t have to! Pick a box of 5 and use them as needed and purchase more when needed. Start Up Company: Do you have or know of a startup company that can’t currently purchase large amounts of stock? Maverick’s stock program has a minimum of only one box and can be purchased for a low price allowing them to use them and change at any time with little to no waste. What are you waiting for? Check out Maverick’s stock capsule program today athttp://www.maverickcaps.com/stock-web-store.html or call today at 707-463-5591 and find out what we have to offer! As Unified came to a close last Thursday we want to thank everyone for stopping by our booth. We met a lot of great customers looking for capsules and look forward to offering our services to further help customers with their branding needs. As time goes on, Maverick will be attending other shows which we will update everyone on as the year progresses. Just because the Symposium is over though, doesn't mean it's too late to give us a call, regarding your next closure project. Whether big or small, custom or stock, Maverick is here to help you with all of your capsule needs. We have a customer care and design team available to discuss your project, estimate costs, determine best design and anything else you might have questions about. Give us a call today at 707-463-5591 or visit our website at www.maverickcaps.com and see all that we have to offer! Visit us at Booth 1140 at the Wine & Grape Symposium! Have you added Maverick to your list of Unified Wine & Grape Symposium booths to visit next week? Be sure to stop by at booth #1140 pick up a great giveaway, learn about our great deals on stock and custom capsules and let us know what closures we can help you with for your brands! Visit the Wine Industry Advisor for more information on our booth at the Symposium and Maverick’s Production Facility! At the end of this month on January 25th-26th attendees will be flooding the Sacramento Convention Center to visit the Unified Wine & Grape Symposium. Each year attendees visit the show to see the many facets of the wine industry and what they have to offer for their business. Maverick will be in attendance at the show and will be in booth #1140 showcasing our capsules for customers to stop in, see what Maverick has to offer, answer questions and pick up and contact information for your capsules needs. We will have our sales and customer care team standing by to help discuss your projects, custom capsules, provide you with stock samples for your smaller brands and help give you the material and information needed to begin working with us on a project. As businesses we understand the needs of our customers and look to help in any way to ensure your success. From quick lead times, superior quality, sustainability, outstanding customer service team, an in house design team, to continuous improvements, we are here to help and provide customers with the best products and services in the industry. Stop by booth #1140 at the Unified Wine & Grape Symposium and talk to us about your capsules. Visit our website atwww.maverickcaps.com for more information. Check out Maverick in 2017 for your Capsule Needs! As 2016 comes to a close, we celebrate the holidays and bring in the New Year, there are a lot of exciting things happening at Maverick. As we continue to provide the highest quality closure to our customers, we continue to expand our horizons, improve upon our consistent process and look to ensure our customers success around every corner. Gearing up for 2017 check out Maverick now for your next bottling needs! We have a wide array of stock poly and PVC closures that continues to grow and most recently have just added 8 new colors to our inventory! Maybe you’re looking for something that is more custom branded for your wines? Maverick has a customer care and design team standing by to help facilitate your project and a production team who can manufacture the closures on site and track from inception to delivery. We offer a variety of innovative closure options which are sure to meet your needs for a beautifully branded package. Check out our website atwww.maverickcaps.com, see what we have to offer and give us a call! 2017 is sure to be a prosperous year, filled with more big news, innovations, and a supportive packaging team behind each and everyone one of our customers. We thank everyone for a wonderful year and wish everyone a Happy Holidays from our team to yours! Enjoy the season and will see everyone in 2017! For many years Maverick has invested in helping customers of all sizes with their capsule needs. Instituting Maverick’s stock capsule program has helped many customers both large and small purchase stock colors from our inventories which they can use for their bottlings with purchases as small as one box to as large as one pallet or more. As 2017 approaches we have decided to add even more to allow our customers the opportunity of purchasing more colors at our same low rates and quantities beginning now! We have added new colors such as blue metallic, burgundy glossy, copper, purple, gold, black glossy and dark red to our inventories allowing our customer more variety. Interested in checking out all the new capsules Maverick has to offer in stock? Visit our stock webstore athttp://www.maverickcaps.com/stock-web-store.html or call today at 707-234-6104 for more information and to request samples! As the WIN Expo quickly approaches, what are you looking for to help make your 2017 a big success for your winery? On December 1 at the Santa Rosa Fairgrounds droves of wine industry professionals will be ready and waiting to help you with your everyday needs from packaging all the way down to tools needed in the vineyards and all equally as important to ensure you have the very best for your business. However, at the end of the long days, the harvests and the countless hours of work that goes into your wine business, the final product is the ultimate pay off for the meticulous work being done each and every day. Here at Maverick we work to make sure all those long hours and hard work doesn’t go unnoticed on your final packaging. Maverick is a domestic supplier working in a fully vertically integrated manufacturing facility. This means we print, convert and ship our products all out of our manufacturing facility located in Ukiah, CA making things convenient and accessible to all customers. We have a customer care team who is available to help you track your project from inception to delivery as we manufacture your order. Maverick has an inhouse design team who can work with existing artwork or help you design your very own which we can then bring to life on our production floor. Maverick has been in business for almost 25 years and with it bring a wealth of knowledge to our manufacturing business. Maverick works 24 hours a day 5-6 days a week to ensure your closures are being produced quickly and efficiently for your business. Finally, Maverick has a skilled printing and converting team that works to produce high quality products and consistently checks quality throughout each project in all departments. We know that quality makes a difference, and we’re dedicated to making sure you receive the very best for your wine. Interested in talking to us more about your project? Stop by booth 321 at the WIN Expo on Dec. 2nd and check out all Maverick has to offer! #ExpoDeals: Stop by Maverick's Booth at the WIN Expo for Great Deals! With Harvest coming to a close and your next vintage on its way, it’s never too early to start thinking about the newest design elements for your wine. 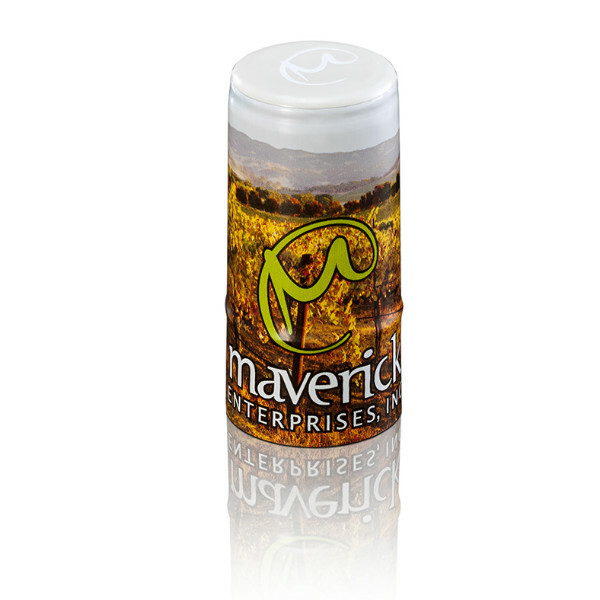 Maverick Enterprises manufactures high quality capsules in poly, pvc, Almost Tin Premium™, and Champagne. We strive to bring customers the very best in closures, while allowing your creativity to shine. We have a design team on staff to help design or work with your existing designs to bring your life your packaging needs. Maverick also offers a high quality stock closures that offer a capsule for your wine while being economical, and without the hassle of large minimums. Any customer, large or small has the advantage of being able to use our stock closures to save money and dress up a vintage they are need of capsules for. This WIN Expo Maverick will be participating in #ExpoDeals. By stopping by our booth and talking to our customer care representatives about our stock capsules you can take advantage of the 10% discount on stock orders over $500 if you order by the end of 2016 as well as very low priced limited time stock capsules which we are looking to have a big sale on before year end. Interested? Stop by booth #321 and ask how you can take advantage of our stock capsule sales and much more! Tradeshow Season is Approaching, Are You Ready? As we reach near the end of 2016 and harvest is coming to a close, we look now to the future. To upcoming bottlings, to 2017, new package changes, redesigning or refreshing your brand and so much more. One word comes to mind though where you can go to speak with industry professionals about these things and discuss your ideas and aspirations to companies you can work with in the coming year: Tradeshows. Tradeshow Season is upon us and two big shows that Maverick is happy to be a part of are the WIN Expo (booth 321) on December 2nd in Santa Rosa, CA in beautiful Sonoma wine country and on January 25-26 at the Unified Wine & Grape Symposium (booth 1140). Whether it be you are looking for custom capsules, stock capsules, to discuss your artwork, branding or all around new or secondary supplier, Maverick Enterprises is here to help you with any and all of your capsules needs. We’re gearing up for some great, end of the year deals on our closures for those that stop by our booths and visit with the Maverick team, and we’ll have our tech support and customer care team ready and waiting to help you. So what are you waiting for? Begin planning your tradeshow schedules now and come see us. You’ll be glad you did! As the industry heads through harvest, one of the busiest time of year for wineries, it’s easy to lose track of all other aspects of your products. The packaging, though the next important feature for your brand, can tend to take a back seat at times while you’re making sure the fruits of your labor are properly cared for and processed. Packaging seems like the need for those items are so far away, you’ll be fine when you get to them. Is it really that far off though to not be working on your future final product? Here at Maverick we understand our customers are busy and we know you might not always have time to keep track of your orders and the important aspects of your brand every second of the day. That’s why we our customer care team works closely with our customers for their orders, keeping them informed, and completing their orders, tracking them from inception to delivery so they don’t have to worry about their upcoming bottlings. Maverick has an onsite design team to help you quickly and efficiently work up new designs for your project all while knowing what is needed to create a high quality, successful, secondary closure and a customer care rep assigned to your account to help you manage and track your closures. So while you’re busy on your harvest and trying to tend to your grapes, why not choose Maverick to help you tend to your closures and top off your wine packaging? Call us today at 707-463-5591 and ask how Maverick can help you with your upcoming brands or visit our website for our various closure we manufacture at www.maverickcaps.com. Are you having trouble finding capsules for your products? How about a nice option that doesn’t require you to purchase large amounts and you have options of color and sizes? Maverick Enterprises has a stock capsule program that allows our customers many options in both poly and PVC capsules all with great prices, high quality closures, and can be purchased in as little quantities as 1 box. In an effort to make ordering accessible and easy we also offer an online webstore which our customers can access from our website, 24 hours a day, 7 days a week. We process orders every day and shipments leave within 2 business days of your order being placed. Maverick is also available Monday through Friday 8am-5pm PDT to help customer place orders over the phone and help you get your capsules as quickly as possible for your upcoming bottlings. Interested? Visit our website at www.maverickcaps.com or give us a call today (707-463-5591) and let us know how we can help you with your closures! Have You Heard About Maverick's Almost Tin Premium™ Capsule? Over the years Maverick has had much success in introducing Almost Tin™ to the wine industry. Serving as a 3 layer polylaminate product, this proprietary blend allows for Maverick to offer a softer poly capsule that helps bridge the gap between normal poly and tin closures. With extra malleability and the highest quality spin down, our new and improved version, Almost Tin Premium™, help with those bottles that you would like to have poly on, but otherwise might have large transfer beads or issues with cutting. Interested in a high quality closure that will allow you to cut costs from your Tin closures, higher quality spin down application then your current Poly, and bridge the gap from poly to tin as a who new substrate for you to rely on? Then call Maverick today and ask us how we can help you with your next project! More information is available in the August Issue of Wines & Vines, atwww.maverickcaps.com or 707-463-5591! Maverick Enterprises offers a high end stock program to meet our consumer’s needs. Holding both poly and PVC capsules for our customers, Maverick offers nothing, but the best capsule for every brand you own. Not only does Maverick holds these substrates, but also our coveted Almost Tin Premium substrate is also offered within our stock and accessible to small and large brands alike who need anywhere from 1 box on up. Bridging the gap between Tin and Poly with a large cost savings this item is highly regarded in the industry and now available in multiple sizes for your needs. Have a large run you don’t have your custom capsules for yet or maybe even a small brand that doesn’t need a custom capsule? Stop in to Maverick’s stock webstore and find out today what we have to offer your company! In 1986 Prop 65 banned the use of lead in closures for the wine industry limiting what those here in the US could use for these products. In 1992, Maverick was started with the goal to bring customers non-lead, secondary closures, to the wine, distilled spirits and specialty food industries all to allow customers the ability to have their products produced in a fully vertically, integrated facility with all domestically produced products in house from start to finish. This creates, faster lead times, easily managed products via centralized location and quick response times to help you invent your closures. This begs the question to some, why are capsules important for your wine? Here at Maverick we strive to make evident two major reasons why capsules are so useful and paramount to your product. A capsule creates a tamper evident seal. What does this mean for your wines? Customers can rest assured that their wine is safely bottled and sealed for their use and no tampering has been done to their beverage of choice. Their capsule will show if someone has tampered with their wine making it one of the safest steps you can take in ensuring your product is just as you intended as it leaves your bottling facility and goes out to the many stores for retail. Not only does it create this seal, but it also creates the finishing touch on your package and lends for extra branding for your customers. After all, why not brand something that you are also using for safety purposes that matches your overall product look? Here at Maverick we work with a very talented team to design, print, form and ship your capsules all from our location in Ukiah, CA. Our capsules are made in the US and our customer care team is standing by to assist you on your order from inception to delivery. Give us a call today (707-463-5591) or visit our website at www.maverickcaps.com to learn more about our products and how best we can help you with your next project! From Design to Bottling Line, Let Maverick Help With Your Capsules! It’s June and bottling is on the horizon for many companies looking to finish of their package and place it on the shelves of stores for all to see. One very important piece to our customers is that ever present design work that at times can seem daunting and difficult to get through. Do you have a dedicated design team behind you to fuel your creative ideas from pad and paper to physical product? At Maverick, we have a very talented design team that can work with existing artwork or build from scratch your creative ideas, transforming them into the closures you have been looking for; that one package, one product that stands out on the shelf to the consumer and speaks to them, inspiring them to buy your wine. Our team will work with you to help create a one of a kind capsule for your brand that not only helps complete your package, but pairs well with your label and speaks to the consumer. Maverick not only specializes in closure design, but is backed by a fully integrated production team who will work with you to produce your capsules and a customer care team to help follow your project from inception to delivery for your next bottling. What better way to design your closures then with a company that can set up your artwork to be production ready and make your design a reality. Call us today to find out how we can help you with your design and manufacturing needs. What are you waiting for? Maverick Enterprises is pleased to announce that we have just been named the 2016 Platts Global Metals Awards winner for Metals User of the Year. This award honors the customers of metals producers who have built on the industry’s spirit of innovation by implementing leading-edge applications that have changed the way our customers use finished products. The judges also consider initiatives that have generated considerable cost or energy savings and resulted in improved efficiency in the use of particular finished metal products, enabling customers to use certain products in a new, more beneficial way. This immense achievement Maverick has accomplished goes hand in hand with the dedication to sustainability, efficiency and overall exceedingly high quality products Maverick Enterprises produces. We are very honored to accept this award as we expand our range of accomplishments in the industry for our customers as the premiere secondary closure supplier. It's Summer, Are You Ready to Update your Capsules? With Spring in full swing and Summer quickly approaching, what is your bottling schedule looking like this summer? Any new brands that need a capsule designed and produced? How about an existing brand needing a package change and refresh for your next bottling? Look no further, Maverick Enterprises is here to help! We offer our design services, production in a fully vertically integrated facility (printed, converted and shipped all from one location) and the best customer care service in the business helping you with your project from inception to delivery. Lead times are far quicker than having to go outside of the US making this a great investment in domestic and we have a multitude of substrates ranging from Almost Tin Premium, Polylaminate, PVC and Champagne capsules. Need help figuring out your next or newest brand’s capsules? Call us today and ask how Maverick can help you. Our dedicated customer care team is standing by to help field your questions and find out how best we can produce a capsule that meets your every need. Maverick is pleased to welcome Mike Benetti to the Maverick team. Mike is one of the newest members of our management team and has recently come to Maverick to fill our Chief Operating Officers position. He will be working with all facets of our production team to continue in our efforts to streamline our processes and efficiently manufacture our capsules. Mike has a lifetime of knowledge in the industry and has been working in manufacturing for 38 years. He most recently has worked in such industries as Automotive, Consumer Products, Lumber and even construction. Holding such positions as SR. VP of Ops and COO all while holding multiple degrees such as a BA from Western Ct. St. Univ., an MBA & Masters from the University of New Haven in Industrial Labor Relations and is a Lean Six Sigma Black Belt. We’re very happy to have Mike join the Maverick team as we continue to grow and shape our company in the future. Maverick also is happy to welcome Gary Balitzkat to the Maverick team. Gary has filled the position of Director of Engineering & Maintenance to help in aiding our maintenance team in continuing the top services that keep our machines in the best condition to produce our products and work to optimally run our machines to their capacity. Gary has worked in manufacturing for 28 years and has worked in such previous industries as Automotive, with aSpecialization in metal forming and fabrication and is excited to bring his knowledge and apply it to the wine industry. Gary has held many positions throughout his career, most notably Industrial Director, Director of Strategic Development and Operations Manager. We look forward to the great achievements we see Gary planning to continue the quality Maverick provides our customers. We’re very excited to welcome Amber to Maverick as our newest Customer Care Representative. She will be working with the customer care team to take on her own customer accounts and continue to provide the excellence in customer service our customers have come to know from Maverick. Amber comes to us with 16 years of experience in customer care and is very eager to learn our process, understand manufacturing and work with our customers. She has previously worked in the petroleum industry for the last eight and a half years working in such positions as systems manager, dispatcher, contractor sales and hospital admissions. Amber is a great asset to our customer care and administrative team helping us as we take on more customers and make sure we provide nothing, but the best in customer service to everyone we work with. In 1992, Maverick Enterprises, Inc. was founded with the goal to domestically produce capsules for the wine industry in the United States with nothing, but the best quality on the market. Proposition 65, the Safe Drinking Water and Toxic Enforcement Act, had banned the use of lead in all capsule products, so the wine industry was looking to international sources to fulfill their beverage closure needs. When Maverick came into the market and began its domestic production with just one forming machine they manufactured over 20 million state of-the-art, non-lead capsules in their first year. Enticing the domestic market to look at their business models and change to a domestic supplier for faster turnaround times and higher quality, Maverick became the supplier of choice. “Now we produce over 3.5 million capsules per day,” Shelby White, Maverick Enterprises, Inc.’s Marketing Coordinator proudly proclaims. Polylaminate – comprised of a three-layer aluminum-polyethylene skirt and an aluminum top disc. They provide a professional and cost effective packaging solution. Almost Tin Premium™ – comprised of a more premium three-layer material that is a great recyclable and less costly alternative to tin capsules. This substrate bridges the gap between polylaminate and tin capsules for a fraction of the cost allowing for maximum malleability in a poly capsule. PVC/PET (G) – comprised of a PVC skirt and an aluminum top disc. The option of a bio-based, eco-friendly and compostable PVC alternative in PET(g) material can be provided as well by Maverick. CapASleeve™ – an alternative PVC capsule without a top disk to display any possible custom T-closure. Artwork can be printed on the skirts for a custom CapASleeve™ or stock options are also available. Champagne – comprised of a three-layer, polylaminate body and an aluminum top disc to provide a clean and premium finish to champagne packaging. A mirage of hot stamping and printing options allow for one of a kind customization. In addition to custom capsule options, White points out that Maverick has a stock capsule program, which allows customers to purchase smaller quantities for special reserve brands or varietals that may require just one-color, more simple designs. This allows Maverick to help customers big and small to meet their diverse packaging needs. As spring approaches bottling season is in full swing, but do you have the right capsules for the job? Are you looking to bottle your special edition varietals in small batch runs? Are you a local winery in your area that produces small, high quality wines that you need a high quality capsule for? How about you have a 50,000 piece run, you would just like to put a beautiful one color capsule on to compliment your already amazing label? Maverick offers a highly efficient stock capsule program dedicated to our customers every needs. We hold stock for larger 50,000 piece orders all the way down to our one box minimum for our smaller customers. Orders are turned around quick, customer service is next to none as the best in the industry and quality is of the utmost importance to us in giving you a great product each and every time. Interested in what Maverick has to offer? Call us today at 707-463-5591 and let us know how we can help you! We also have a very convenient, user friendly webstore for our customers to use to verify quantities, colors and their options before ordering. Visit our webstore hereMaverick's Webstore to see what Maverick has to offer our customers! We are pleased to announce that Maverick has been voted Best Alternative Closure Supplier for 2016 in Vineyard & Winery Management Magazine. This is annual survey VWM distributes yearly and Maverick was voted this year's most voted in the alternative closure category. Maverick was most prominently noted by voters who commented on Maverick's exceptional quality, customer service and technical support. Maverick works very diligently to ensure that our customers have nothing, but the highest quality capsules in the industry for our customers. We strive to set the standard in customer service, technical support and attention to detail in the industry each and every day. Visit Maverick at Booth 1140 at Unified! Maverick Enterprises, Inc. will be attending the Unified Wine & Grape Symposium and will be available at booth 1140 to answer any and all questions for your capsule needs. This tradeshow takes place on January 27th and 28th at the Sacramento Convention Center. Are you looking for help with your custom or stock capsules? Have you been looking for a new domestic supplier who can give you quality capsules in a timely manner? We're here to help! Maverick will have customer care reps, designers and even production staff available from all facets of our facility to help field your questions on their expertise. Stop in at booth 1140, say hi and ask our experienced team how we can help you with your capsules! Visit Us at the WIN Expo this Thursday! Looking for high quality closures for your winery? Maybe a custom capsule or a stock capsules for some of your varietals? Stop by Maverick's booth and ask us how we can help you with your capsules needs. We will be located with our supplier, Saxco International, at booth #335 & #337. Stop in, say hi and let us help you answer any and all of your questions for your secondary closures. With harvest out of the way, it's time to focus on your packaging and how Maverick can help! Looking For a Cost Effective Closure? Maverick Can Help! Maverick is pleased to announce that we have hired Natalie Higley, as a customer care representative and newest member of our Maverick team. Natalie comes to us with an experienced customer care and administrative background most prominently in the technology industry. She exemplifies very detailed and efficient customer service, analytical reporting and organization, with a broad spectrum of knowledge to work with our customers. Maverick welcomes Natalie to our team as we look forward to continuing to provide the best customer service in the packaging industry. Maverick is pleased to announce we continue to improve our green efforts in the packaging industry, not only in our manufacturing of custom and stock closures, but also in our packaging going out to our customers in our new Maverick Boxes. This week Maverick is launching its two newest boxes out into production as we continue to improve and provide our customers with a sustainable, high quality box to transport customer’s capsules to them. These two boxes, our newest Champagne box and a longer eco box, give our customer’s a 100% recyclable box, printed using soy based inks, improved stacking for better performance, and redesigned box style for easier assembly and more reuses. Another great feature of these boxes is its recyclable quality. Maverick has had in place for many years within its green initiative, a recycling program with our boxes where we can have as many as 7 or more uses from each box as we work with our customers to pick up all empty boxes and return them to our Ukiah facility for reuse. These newest boxes will stand the test against even more uses then before and overall quality improvements our customers have come to count on. Taking into account the environment our supplier Capital Corrugated & Carton is ISO 9001 and 14001 certified and also works with the Safe Forest Initiative (SFI). To make sure that all of their efforts in manufacturing are renewable Capital has created a Tree Planting Program and for each box made they plant 4-5 trees to continue the cycle of a sustainability in the environment. More information about their many affiliations with the Sustainable Packaging Coalition and more can be found on at www.capitalcorrugated.com/affiliations.html. Sustainability is a large part of Maverick as we continue to raise the bar in our industry to maintain and improve our green efforts. We are thrilled to be able to bring more of this element into our boxes and to our customers everywhere. Looking for a design for your entire bottle without the need for costly etching and labels? How about a sleeve that contains all of that information incorporated into your overall design? Look no further, Maverick now offers Full Body Sleeves. Perfect for dressing up your wine brand and making it stand out on the shelf from the competitor, ask Maverick how we can help you with your packaging today! Contact us for more information at 707-463-5591 or visit our website at www.maverickcaps.com. On July 10th, Maverick was awarded the prestigious Business of the Year by the Ukiah Chamber of Commerce at a Celebration Ceremony held at Mendocino College in Ukiah, CA. The award was give in honor of Maverick's success, known as the premier business in the secondary closure industry, and it's continued contribution to Ukiah. "Maverick was founded in the Ukiah community and through our hard work and efforts continue to stay a local source for the wine industry located only a short drive from the Napa area in beautiful California wine country. We are always looking to help our local community thrive and are happy to be able to keep our production facilities local to continue to provide jobs and improve our local economy. Ukiah is a small town with a lot of heart and we like to add to that and help in any way we can as our business continues to support 120 families in Ukiah, local businesses, events and non-profit organizations," Marketing Coordinator, Shelby White said. At Maverick people make the difference. Our organization thrives on many things, but our employees and business relationships help make Maverick who it is today and as a team will forge the future and continued success to help Ukiah and Maverick prosper. Maverick Enterprises, Inc. located in Ukiah, CA. is none other than an amazing local success story. One of the largest businesses employing those in Mendocino County, working to supply the wine industry with secondary closures, Maverick not only looks to be successful, but to help spread that success in Ukiah to those organizations that work to help others in our community. This past week, Maverick's VP of Sales, Jon Henderson and Marketing Coordinator, Shelby White, stopped in at Plowshares bringing in a number of supplies and items purchased by Maverick to help support this non-profit organization and their dedicated service to help others. "We are very thankful at Maverick to have the success and well being that we do through our hard work and efforts. As an organization we are always looking for opportunities to give back to the community that we all live in," Shelby said. Plowshares is a non-profit organization that provides three hot meals a day to the less fortunate in Ukiah in need of help. They rely almost solely on local donations and the help of dedicated volunteers to run the community dining room, services and also supports the Meals-on-Wheels programs to help those home bound seniors with hot meals as well. Looking For A Good Career? Maverick Can Help! Maverick Enterprises, Inc. has been a secondary closure provider to the wine, distilled spirits and specialty foods industry for 23 years. In this time Maverick has become known for our amazing customer service, attention to detail and our continued efforts to help our customers succeed. These traits and the company culture are found in the employees that work for Maverick and the dedication they have to our industry and customers each day to put a high quality product out on the market. At Maverick, people make the difference. As a manufacturer in an ever growing industry we continue to expand and grow as we have over the last 23 years in business. With those expertise comes a lifetime of knowledge that is consistently being passed down from employee to employee. We are always looking for new employees that can help us continue our success in the packaging industry. Are you looking for a great job in sales? Do you have experience in the professional printing industry? Experience in manufacturing in a lead management role? Maverick might be looking for you! Maverick offers an array of jobs and we're always on the look out for talented, hard working individuals to add to our team. Stop by our website at http://www.maverickcaps.com/careers.html and see what we're looking for. Updates are made regularly for the latest positions we're looking to fill. Come check us out and see what we have to offer. Our next employee might be you! Maverick Enterprises, Inc. is pleased to announce that Fred Koeppel will be moving from the position of VP of Operations to Maverick’s VP of Sales. Fred will partner with our Executive VP of Sales and Business Development, Jon Henderson, to build on those existing relationships we have, as well as, forge new ones in the marketplace. As our organization continues to evolve in an increasingly competitive industry, we are always looking to continue building an even stronger sales force. Maverick Enterprises is well-known for it’s outstanding customer service. The foundations of those relationships are built from every interaction we have with our customers. From the initial sales calls or on-site visits to our direct delivery of products to customers and the continuing support from our outstanding team of professionals we look to give nothing but the highest quality of service to our customers. As VP of Sales, Fred will lead our Technical Services Team to ensure we are continuing to provide industry leading support and will oversee and drive our newly formed partnership. Fred will also begin working closely with many accounts, visiting customers at their facilities and making sure everyone has the support they need to help our customers continue to succeed. We congratulate Fred on this position and look forward to his future career growth path. In commemoration to our partnership with Kendall Jackson Vineyard Estates, our VP of Sales and Business Development, Jon Henderson (pictured to the left) visited Kendall Jackson's facility to present Maverick's 10,000,000,000 plaque in honor of Kendall Jackson's Vintner's Reserve Chardonnay capsule becoming Maverick's 10 billionth capsule. Zack Reitzell, KJ's Procurement Manager (pictured right), and Veronica Briceno (pictured right), KJ's Material Planner, were there to accept the award on behalf of the company. Maverick and Kendall Jackson have worked together for many years as we continue to provide KJ with nothing, but the best quality closures on the market for their brands. On behalf of Maverick we celebrate our 10 billionth capsule milestone and share this amazing accomplishment with Kendall Jackson as we look forward to many years and billions of capsules to come. UKIAH May 13, 2015 -- Maverick Enterprises, Inc has been selected for the 2015 Best of Ukiah Award in the Wine Bottle Capsules category by the Ukiah Award Program. Each year, the Ukiah Award Program identifies companies that we believe have achieved exceptional marketing success in their local community and business category. These are local companies that enhance the positive image of small business through service to their customers and our community. These exceptional companies help make the Ukiah area a great place to live, work and play. Various sources of information were gathered and analyzed to choose the winners in each category. The 2015 Ukiah Award Program focuses on quality, not quantity. Winners are determined based on the information gathered both internally by the Ukiah Award Program and data provided by third parties. The Ukiah Award Program is an annual awards program honoring the achievements and accomplishments of local businesses throughout the Ukiah area. Recognition is given to those companies that have shown the ability to use their best practices and implemented programs to generate competitive advantages and long-term value. The Ukiah Award Program was established to recognize the best of local businesses in our community. Our organization works exclusively with local business owners, trade groups, professional associations and other business advertising and marketing groups. Our mission is to recognize the small business community's contributions to the U.S. economy. Maverick Enterprises, Inc. is very pleased to announce that after almost 23 years in business, Maverick marked a milestone in the record books hitting 10,000,000,000 capsules produced at its facilities in Ukiah, CA. We are very honored to share this news with the industry as we continue to grow and succeed with the help of our amazing team and customers. Maverick is a secondary closure manufacturer providing high quality capsules and alternative closures to the wine, distilled spirits, and specialty food industries. For more information on our company and 10 Billion reasons choose Maverick please visit our website at www.maverickcaps.com. Is Spring Bringing New Package Changes? Let Maverick Help! With Spring a little over a month away, are you looking to do refresh on your package for the new year? How about some stock capsules for a smaller bottling? Looking to make your package stand out on the shelf and make consumers buy? Maverick offers a variety of options for your closure needs that will help you do all of these things. Maverick also offers in house designers to help you with your artwork and customer can use their services to get their artwork looking just as they would like. Our fully, vertically integrated facility allows for us to help you with your order from beginning to end as it ships from our facility to yours. All of our closures are domestically produced in Ukiah, CA. and offer nothing, but the best in quality and customer service on the market. Give us a call today and let us help you create the closure you deserve for the fruits of your labor. For more information visit our website at www.maverickcaps.com or call us today- (707) 463-5591. Napa and Ukiah, California –On February 1st, two leading packaging suppliers, Amcor Flexibles Capsules and Maverick Enterprises, Inc. will further strengthen their position in North America through the creation of a manufacturing and sales partnership. The two companies will combine their extensive knowledge and experience in the manufacturing of polylaminate, PVC & sparkling foils for the North American wine and spirits market. Both companies have been producing locally in close proximity to the wine industry for more than twenty years and are renowned for quality and speed of service. The partnership will see a consolidation of manufacturing assets for the production of poly-laminate and PVC capsules for the wine, sparkling and spirits markets at Maverick’s facility in Ukiah, California. Amcor Flexibles Capsules will continue to sell capsules under the Amcor Brand, produced in partnership with Maverick Enterprises. Maverick Enterprises has been producing high quality, secondary closures for over 20 years as it has risen to the top of the secondary closure market in the US. With our two facilities located in Ukiah, CA Maverick Enterprises produces 100% of its capsules domestically. Our award winning rotogravure printing capabilities and close attention to detail enable us to supply the very best quality and innovative capsules in the industry. For more information on how Maverick Enterprises can help you with your capsule needs, please visit our website at www.maverickcaps.com. Maverick At Unified Wine & Grape Symposium! Are you going to be one of the many in the wine industry attending the Unified Wine & Grape Symposium? Interested in looking for a supplier for high quality capsules in the hope of finding the very best for your company? Then stop by booth #1140 in Sacramento and see what Maverick has to offer! Maverick has been in business for over 23 years and continues its success offering amazing customer service through great attention to detail we offer to every customer we come in contact with from inception of your project to delivery. Maverick offers nothing, but the best quality secondary closures on the market and we look forward to helping you with your latest project. Any questions about what you are looking to do with your package? Do you need more information on different substrates and ways you could use a secondary or alternative closure? Maverick can help you with all of your questions and more. Stop in on January 28th and 29th from 9am-5/4pm and see how we can best help you with your packaging needs! or call today to talk with our customer care dept. at 707-463-5591. Maverick is pleased to announce that just last week we were awarded a 2014 Wine Industry Award for the production of our high quality capsule we provide to our customers. We're very honored to accept this prestigious award that the Wine Industry Network and North Bay Business Journal put on each year. Maverick provides nothing, but the best closures in the industry to our customers and looks to pay close attention to detail for our customer's orders from inception to delivery. For more information on how Maverick can help you with your packaging needs please contact us today at 707-463-5591 or marketing@maverickcaps.com. Maverick at North Coast Wine Industry Expo! December 4th marks the annual North Coast Wine Industry Expo located in Santa Rosa, CA. Maverick will be at the show along with their distributor Saxco International at booths 335 and 337 to speak with customers and help you find the packaging solutions you need for your company. Stop in, say hi and let us know what you might be in need of and how best we can help. We will be there to answer questions and show samples of Maverick's outstanding work as the leader in the closure industry. Maverick hopes to see you there!! Maverick is pleased to announce Janette Brooks as our new Chief Financial Officer. Janette is a Certified Public Accountant with experienced in insurance and banking. Prior to joining Maverick she was a CFO/Controller for a manufacturing company in California. Maverick is happy to add another great asset to our management team. Maverick is also happy to announce our newest member of the Maverick team, Debby De Lapo as our new Customer Care Representative. Debby comes to us with an abundance of experience in team leadership, Supervisor and Management positions all within the packaging industry. We are very happy to have her apply her current capsule knowledge, organizational and communication skills in the Maverick Customer Care Dept working with our customers to give them the best service in the industry. Looking for Innovative Packaging Solutions? Look no futher, Maverick produces high quality stock and customer closures for all of your packaging needs. Maverick has been in business for over 20 years and provides nothing, but the best for our customers needs. Give us a call today and ask how we can help you with your capsule needs! On September 18th Maverick was awarded 3 prestigious awards for it's award winning Rotogravure printing from the Gravure Association of the Americas in the Golden Cylinder Awards Ceremony held in Concord, NC. Maverick was awarded the Golden Cylinder Award for the Winery Exchange Animist capsule under technical innovation in image carrier, for the Rittenhouse capsule under technical innovation in image preparation and the Once Upon A Vine capsule under Label and Packaging for supported foil. Maverick continues to raise the bar on its ability to print remarkable capsules of the wine, distilled spirits and specialty foods industry. Our newest gravure printing innovations help customers reach their full potential in their packaging needs, creating more detailed artwork without and sacrifice. Maverick is pleased to welcome Adrian Lopez, Jr. as our Manufacturing Buyer. Adrian comes to us with a diverse background in the US Marines holding such titles as Requitioner, Warehouse Chief, Security Non-Commisioned Officer in Charge of Flightline Security, Iraq Supply and Logistics Manager for Combat Logistics Company and Marine Recruiter. He will be working with the Maverick team to procure all of our supplies, raw materials and assisting productionwith all raw material related items. We are happy to have him on the team and look forward to making more strides and continued improvements in all facets of Maverick. Bottling? In Need of Capsules? Maverick Can Help! Maverick Enterprises, Inc. has been in business for more than 22 years producing the highest quality closures in the industry. With it's 2 production facilities located in Ukiah we span all through out the US, Mexico and Canada providing premiere closures to the wine distilled spirits and specialty foods industries. With peak bottling season in full swing and harvest just around the corner, are you looking for a great capsule that compliments your package and gives you that one of a kind branding you're looking for? Maverick, along with it's talented Designers and Customer Care Dept. can help you with your capsules from inception to delivery, ensuring nothing, but the best in exceptional service to our customers. Whether its a small run you might need stock for or a large run requiring a custom capsules we're here to help you with any all closure needs. Give us a call today and ask how we can work to produce the right closure for you! For more information on our company, products and services please visit our newly remodeled website at www.maverickcaps.com. Call Us at (707) 463-5591 Today!!! As Maverick continues to grow and expand its capabilities so does our need to produce quality information to our customers and staff. We have been working the last couple of months on a marketing project to refresh Maverick's website for all to use. The new website was just launched days ago and turned out great. We will now be able to add newly edited videos of the plant, updated pictures, and pertinent information in a more revised and succinct manner. Stay tuned for more updates and improvements to better suit everyone's needs and check out the new site at www.maverickcaps.com! Breaking News! Maverick Produces 9 Billionth Capsule!! Maverick is pleased to announce that they have just produced their 9,000,000,000 capsule in the company’s lifetime. Maverick has been in the secondary closure industry servicing the wine, distilled spirits and specialty food industries for over 20 years and continues to produce over 3 million capsules daily with its vertically integrated production facility and second brand new facility this year. For more information on our company please visit our website at www.maverickcaps.com or give us a call at (707) 463-5591. Maverick Awarded WINnovation Award and Gold Ink Award! Maverick Enterprises is proud to announce that they were a winner of a 2013 Golden Ink Award for their printing work on the Nascar Indy 500 capsule produced for Fuzzy Vodka. The talents of our printing department and design team show greatly in this piece that shows great detail, registration, everything lining up at the seams and all together amazing finish to a package. In more recent accomplishments Maverick has also won the hearts of the wine industry with its newest award presented by the Wine Industry Network for its excellence in innovative marketing tools that was presented in December to the company. Another amazing achievement for Maverick in 2013 that continues to go unnoticed by customers and suppliers alike who are consistently looking for information very easily provided by Maverick's website, brochures, fliers and information Maverick distributes to those in the industry. The Gravure Association of the Americas had their annual awards ceremony in Charlotte, NC on October 3rd and we are happy to announce that Maverick Enterprises garnered the 2013 GOLDEN CYLINDER AWARD in the category of ‘TECHNICAL INNOVATION’ for our 4 Color Process capsule. It is an honor to receive such a prestigious award and compete with some of the best in the rotogravure printing business. Our 4 Color Process Technology, originated with the assistance of WRE/ColorTech (Berkeley, CA), is a leading advancement in the Wine and Distilled Spirits Closure Industry and was developed to benefit our customers by reproducing photographic quality on a capsule with elaborate, brilliant colors. Maverick has been in business for over 20 years servicing the wine, distilled spirits and specialty foods industries with premiere closures. Our 4 Color Process, using CMYK, pushes the boundaries of what a rotogravure press can accomplish with standard printing by reproducing nearly any color on a capsule with a complex printing design. Maverick's Second Facility Almost Complete! Maverick is proud to annouce that the second facility is up in Ukiah, CA and is having the finishing touches put on the building before they begin moving in. This will be the 2nd facility extention of Maverick in Mendocino County as they work to create the highest quality capsules on the market and continue to expand and grow their business. Maverick has been a part of the of the wine, distilled spirits and specialty foods industries for over 20 years and continues to thrive along side their customers. For more information about the company please visit our website at www.maverickcaps.com for updates on our building, two facilities, capsules, events and more. MAVERICK ENTERPRISES a secondary closure company in Ukiah, CA would like to announce the newest addition to the Maverick team, Norm Hall, as their new Director of Printing. With a wealth of knowledge, Norm has worked in the packaging industryfor over 36 years where he began in tea and tobacco packaging for the first 18 years of his career. The last 18 years he has worked in the wine and distilled spirits packaging industry growing in all facets of the industry where he has held such job titles as Printing Managing, Director of Printing, Director of Manufacturing and Sales and Technical Support. Maverick is pleased to welcome Norm to the team as he leads our Printing Department. Maverick Enterprises, an elite secondary closure company servicing the wine, distilled spirits and specialty foods industries is proud to introduce their latest innovation in sustainability- their new Maverick Eco Boxes. This new box Maverick has available for use is made from 100% post-consumer waste and is printed with water based, eco friendly inks. The new box will soon be used for all outgoing shipments from our warehouse to ensure a clean an efficient box for our customers to use. In a continued effort to recycle, the eco box will continue to be a part of Maverick's box recycling program. As such customers can schedule pickups after they have finished removing their capsules on their productions lines. Those boxes are brought back to Maverick and re-used again on other outgoing shipments. This program allows for Maverick to use a box up to a dozen times or more before it needs to be recycled. The amount of uses creates an efficient box that can be used many times before a replacement would have to be brought in. Maverick works very hard to provide the highest quality capsules while being very green and sustainable for our customers. For more information on Maverick's Green Statement and our sustainability procedures please visit our website at www.maverickcaps.com. Maverick Enterprises Inc. a secondary closure company servicing the wine, distilled spirit and specialty food industry has broken ground on a second facility in Ukiah, CA. This new, 25,000 SQ. Ft building expansion will benefit customers by allowing for even shorter lead times, quicker turnaround on repeat jobs and more flexibility with scheduling. As Maverick continues to expand its production lines our capabilities become greater as does the support we provide to our customers in lead times and on time deliveries for each of their projects. Call us today and find out how we can help you with your capsule needs! (707) 463-5591, www.maverickcaps.com. Maverick Enterprises Inc., a secondary closure company servicing the wine, distilled spirit and specialty food industry, is pleased to introduce 4-color process technology as their newest capability. This process is done by using four primary colors: cyan, magenta, yellow and black or CMYK to reproduce photographic quality on a capsule with elaborate, brilliant colors. With these 4 colors customers can create a capsule that pushing the boundaries of what a rotogravure press can accomplish with standard printing by reproducing nearly any color on a capsule in the most complex designs in printing. This process is a great advantage to customers as "Very few, if any, suppliers are using an ink system that is capable of producing this process on substrates like poly and PVC in our industry" according to Scott Rogers, Printing Dept Manager. This process will help customers achieve a capsule that stands out on the shelf from their competitors and really shows off it's true colors. Looking for Quality Capsules YOU Can Depend On? At Maverick we strive to manufacture and produce the very best capsules on the market. Maverick has been in business for over 20 years now and continues to produce the highest quality capsules you can depend on for the wine, distilled spirits, and specialty foods industries. We design and manufacture custom capsules for your branding needs and have designers standing by to help you with your newest projects or even to re-create and refresh your current projects. Also on hand, Maverick carries stock capsules for the ease and convience of our customers who may want varying amounts of capsules, colors, and sizes. For our customers we offer high quality stock capsules that can be purchased by the box for a cost effective closure and can be found on our web store at www.mavericaps.com/webstore. For more information we have our customer care representatives that can help answer your questions or place an order for stock capsules. Give us a call and let us help you find the best capsule for your product needs. Need a Closure Supplier You Can Depend On? Maverick Enterprises is always the right fit! We have been manufacturing and distributing capsules for over 20 years and continue to provide industry standards in customer care, technical service, high quality products and an attention to detail to help our customers with their packaging needs. Maverick will be at the Unified Wine and Grape Symposium on January 30 and 31st to showcase the many capsules we have to offer, speak with customers and hand out samples of our capsules. Maverick will be located in booth #1338 and our distributor Saxco International will be in booth #1634. Maverick and Saxco both will have representatives from each company manning the booth each day from open to close to help customers and discuss what they may need for their future projects. Please stop by, say hi and let us know what you are looking for! 2013 Unified Symposium Fast Approaching! Just 14 more days left till the 2013 Unified Wine and Grape Symposium on January 30th and 31st in Sacramento, CA. Stop by booth #1338 and let Maverick help you with your capsule needs. We will also have our distributor, Saxco International, on site to help as well and they will be at #1634!! Join us in booth and let us know how we can help you with your capsule needs. In the mean time we have our stock capsule web store available for smaller quantities and big quanities if needed without custom design for a cost effective closure. We also have our customer care representatives available to take your calls if you are looking for a great custom capsule to fit your brand. Call today or visit our website for more information on Maverick's capsules and how best we can work with you and your products! Visit Maverick At The Symposium and Discuss Your Capsule Needs! Maverick Enteprises will be at the Symposium in Sacramento, CA on January 30th and 30th in booth 1338. Stop by and see us and ask how we can help you with your capsules needs! We will have all of our customer care representatives on site to answer questions as well as our designers who would love to discuss your project needs with their valuable expertise. Visit our booth and let us know how we can help you! In a Pickle? Maverick's Web Store can help! Maverick's Web Store features PVC, Poly, AT and Champagne capsules perfect for companies of all sizes who need capsules at an affordable price, in big or small quanitities and in different substrates and sizes. In today's supplier market many companies are too small to meet minimum order requirments, can't find the right color, size or an affordable capsule that is just for them. Or maybe your a company that is really in a bind and needs some capsules in a quick turn around to finish your bottling? Here at Maverick we have created the Stock Capsule Web Store to help all of our customers out with any capsules they may need by supplying stock capsules in the most convenient way possible! Our web store was created with you and your wineries in mind! Perfect for all sizes, varietals and wineries, we produce the highest quality capsules on the market and our web store creates the ease and convenience for our customers that sets us apart from the rest. Simply visit us at www.maverickcaps.com/webstore and see for yourself!! We even have a limited time section for those different colors and sizes you may not be able to find anywhere else! It's as easy as looking through the colors you want, picking your choice, placing your order and our customer care team takes care of everything else! No hassle and no fuss! For more information on this great feature and questions about our stock caps or web store contact us at swhite@maverickcaps.com and we will help you find what you're looking for! Maverick is happy to welcome Chris Correia to the Maverick team as our newest Techinical Services Representative for Maverick. His knowledge in the field and in the industry will allow him to help our customers with any techinical questions they may have. Adding another techincal service rep means giving Maverick more flexibility with our customers and allows for more space for our 2 technical reps to cover. Here at Maverick we pride ourselves on customer service, attention to detail and quality. Our technical representative are there to help our customers with any questions they may have, to check in on our customers to ensure they are happy and address anything they may need. If you have a new project in mind give us a call and ask us how we can help you with your next project! Maverick- Featured in Wines and Vines Cover Story! Maverick Enterprises is proud to announce that we will be a supplier featured in the Cover Story in the August Closure Issue of Wines and Vines on news stands this week! Our very own Executive Vice President of Sales & New Business Development, Jon Henderson, speaks about the ever changing supplier market and the trends we are seeing in the capsules industry today. You can check us out on Page 24 of the August Issue of Wines and Vines, look at the online edition or look at our website news for the full article- www.maverickcaps.com/news. For more information on Maverick please visit our website at www.maverickcaps.com and take a look around. Maverick also now has twitter! Follow us at https://twitter.com/MaverickCapsule. Are your capsules the best they can be for your bottle? Here at Maverick we provide the very best secondary closures and have a wide variety of choices as to what type of material, capsule, design, color and many other customizable options for our customers. One of our newest innovations, CapASleeve™, is a great tool for those bottles that needs tamper proof evidency, but need to be cost effective. They also have many other options, colors, sizes, customizable features and other properties that make these capsules great for spirits and specialty foods. For the convience of smaller customers and those that want even more cost effective closures we even have stock capsules available to choose from. For more information on how we can tailor our capsules for your company and our many products please visit our website at www.maverickcaps.com. Take a look around, you will be glad you did! Is Sustainability Important to You? It is at Maverick! Here at Maverick we work towards being sustainable in all of our practices such as our administrative office work, our print shop and cap shop recycling, and even our shipping we manage waste efforts in each procedure. Maverick, after we have completed our process, continue to work with our customers to help them with their sustainability efforts as well. We have multiple recycling programs in which we work to help our customers and be sustainable ourselves by recycling boxes we use for our capsules and getting as many as 4 uses out of each box. As a service to our customers we also have created a recycling program where we will bring back capsules, regardless of the manufacturer, to our facility and recyle them the proper way for our customers. Maverick is a sustainable company that not only strives to have the best capsules on the market, but also the most efficient and earth friendly process. We give back the environment and keep it as safe as possible through our process from taking an order to shipping out our products. For more information on these and other sustainable processes at Maverick please visit our website at www.maverickcaps.com and click on the Sustainability Tab. What Sets Maverick Apart from Other Suppliers? Maverick Enterprises has been a supplier for the wine, distilled spirits and specialty food and beverage industries for the last 20 years. Within these years Maverick has grown leaps and bounds working with some of the biggest names in the industry. But what sets Maverick apart from the many suppliers in our industry? There are many things that have allowed us to thrive in the industry, but a few traits that come to mind are that we treat our customers like they are our only customers, we deliver on the commitments we make to our customers and we make the highest quality capsules out of all of our competitors. We have an amazing customer care team who will follow your order at our facility from the time it is recieved through the entire process to its delivery all while keeping in contact with you over any questions you may have. Our designers work directly with our customer care representatives to ensure the artwork is exactly what our customers would like and is the best quality possible before it is printed and formed. Our custom capsules are the best in the industry and we continue to thrive by the products and services we provide. For those customers that may not be able to afford a custom package we even offer high quality stock capsules at an affordable rate and have a web store to purchase these capsules quickly and easily. For those smaller wineries who may only need a couple boxes for their bottling season this allows those wineries the freedom to order smaller quantities and which ever colors they decide. For more information about Maverick's products and services please visit us at www.maverickcaps.com or visit our web store for stock capsules at www.maverickcaps.com/webstore. Should we begin thinking about changing our package for next years production? Did we order enough capsules to finish bottling? Is it time to start thinking about changing our branding or design? Does our company need something new and innovative? Or maybe something as simple as...I need to finish my packaging so I can bottle. Maverick has the answers to all of these questions with our top of the line custom capsules and stock capsules. We encourage all of our customers to use their imagination and really get creative. Here at Maverick we love to take on new projects and give our customers a one of a kind experience making their capsules the best and innovative on the market. Our design and customer care team work hand in hand with our customers as their capsules are designed, printed, formed and shipped to them all from one facility allowing us complete control to watch over the process from inception to delivery. We pride ourselves on customer service and manufacture only the best for our customers. For those customers that need capsules right away, want smaller wait times or are a smaller winery that needs cost efficient capsules with smaller minimums we have stock capsules at our facility and can ship them out within a few business days. As Maverick expands and grows we welcome all customers to give us a call, ask for samples and talk to our amazing customer care team as we work with you to give you the best experience and capsules possible. For more information please call (707) 234-6104 or visit us online at www.maverickcaps.com. Ever run out of capsules in the middle of bottling? Or, how about you need capsules quickly and not too costly, but custom capsules are just too expensive for your winery? Here at Maverick Enterprises we want to help out every business big and small so we have added our line of Stock Capsules to an online store on our website. This allows our customers to purchase stock capsules quickly and easily so they can keep those bottling lines running, get cost effect capsules easily, and choose the best color and fit for your company. We offer a variety of colors in PVC, Poly and Champagne stock capsules. For more information, pictures of our products, sizes, quantities, features and options please visit our webstore at www.maverickcaps.com/webstore. Maverick is the elite secondary closure company in the US. We offer the best in quality and customer service. Let us help you! Visit our webstore or call us for more information at (707) 234-6104. Maverick Launches Stock Capsule Web Store! Maverick Enterprises is pleased to announced that our Stock Capsule Web Store has officially launched and is ready for orders. This web store was created for our customers convenience by ordering stock capsules in an easy and efficient way.The web store contains everything our customers need to know about colors, sizes, pictures of our stock capsules, features each of our capsules offer and quantities we offer. We currently have such substrates as Polylaminate, PVC, Almost Tin™ (a thicker polylaminate for those not-so-friendly poly bottles) and Champagne capsules. Maverick offers the very best in customer service and takes pride in helping our customers with any and all of their capsule needs. Visit our web store and let us help you! Go to www.maverickcaps.com and click on our Web Store tab! We look forward to you visiting our web store and hope to work with you soon! Stock Capsule Webstore On it's Way! Maverick is only a couple of weeks away from launching our Stock Capsule Web Store online. We have created this web store for the convience of our customers. Each of our products will have a picture, and give information such as the substrate, box quantity, special features and top disk option. We like to help our customers out in any way we can to make our ordering process as easy and efficient as possible. We encourage you to take a look at our web store when it is up, but until then we do take orders over the phone. Our customer care team standing by to help you! Please call our Stock Capsule Coordinator Becky Schulz (707) 234-6104 for more information. To learn more about Maverick Enterprises please visit our website at www.maverickcaps.com. Maverick Has Stock Capsules! Web Store Coming Soon! capsule that has a quick turnaround and is cost effective. Our top of the line stock capsules range in size and color within each substrate. We are currently takingorders by phone. Please call Becky Schulz for more information and how you can order your capsules at (707) 234-6104. Maverick will have a brand new web store to purchase our stock capsules online. This process will make it simple and fast for our customers. This new feature to our website (www.maverickcaps.com) will be up online for our customers to use very soon! This web store will contain all of the information our customers need to know about each capsule and pictures of each in order to help you choose which type of capsule and color is best for your company. Please give us a call today and let us help you with your stock capsule needs! March 27-29th the annual Wineries Unlimited Trade Show will occur in Richmond, Virginia. We are pleased to announce Maverick will be attending again this year. We will be situated at booth # 225 with our distributor Saxco-Canada as we showcase our capsules. Maverick prides itself on manufacturing the highest quality capsules on the market for the wine, distilled spirits and specialty foods industries. Please stop by and visit us for more information on all of your capsule needs. Maverick has recently completed the installation of their 18th capsule-forming machine. They now can produce over 3,300,000 PVC, polylam and champagne capsules everyday. Not only does this increase Maverick's capacity, but just as important, it provides more flexibility to provide those quick turn-arounds required by the ever-changing production needs of their customers. This is the primary and most profound difference of capsules made domestically from those produced overseas. See us today and let our team work with you on your next project. 2012 Unified Wine and Grape Symposium a Success! It was another record year for the 2012 Unified Wine and Grape Symposium with 12,400 attendees and a record 647 exhibitors. Our Customer Care team here at Maverick spoke to many of our customers, potential customer and had a great turn out as always. We are always ready to take on new customers and help with any and all of your capsule needs. Please contact us to receive more information and how we can help you with any and all of your capsule needs. dwinter@maverickcaps.com or (707) 234-6103. We hope to see you all at next year's Symposium! 2012 Wine and Grape Symposium-Come See Our Top of the Line Capsules! Once again Maverick Enterprises will be participating at the annual Wine & Grape Symposium in Sacramento California. The Symposium will take place on January 25th and 26th where we will be at booth #1706. We will have our amazing sales team and others from our company standing by to answer questions, discuss our capsules and help you with any and all of your questions. Please stop by and see us! Maverick Enterprises is dedicated to helping you with all of your capsule needs. We are located in Ukiah, Ca and are a domestic supplier that does everything in house here at our facility where we have a great Customer Care team standing by to help you with your orders, and a talented design team that can check on your order from inception to delivery. As Maverick continues to grow and expand we are always adding new and innovative ideas to forge ahead of our competitors. We are currently in the process of re-doing areas of our website to help our customers so they can see online what products we have available and all of their options before even making a phone call to us. One of the new areas of our website will be dedicating to our Stock Capsule program which is continuing to expand as we receive more and more orders. We have many colors, sizes and stock top disk options for you to choose from. For more information please contact us at (707) 234-6140. As Maverick Enterprises continues to grow, please join our amazing team in continuing to make capsule history as the highest quality and best capsule supplier in the industry. For more information on our capsules please call us at (707) 234-6103 or email us at custcare@maverickcaps.com. Maverick Enterprises has had its most successful year so far shipping the highest ever in history in Q2 of 2011, and breaking our current record from 2010. Maverick is dedicated to providing you with great customer service, a talented design team, a domestically produced product, and a hard working company who is here to give our customers the best capsules in the market. To increase our annual capacity we are currently working on a possible new off-site building to house an additional rotogravure press and 2 capsule-forming machines. What does this mean for our customers? Higher-quality capsules produced right the first time. CapASleeve is an alternative PVC capsule without a top disk. Maverick has a stock capsule program that has proved very successful and is continuing to grow. We offer many colors and different sizes for all of your product needs. Please visit our Stock Capsule Web Store for more info and ordering at http://maverickcaps.com/stock-web-store.html. Alternative PVC Capsules: 30.5x50 Clear CapASleeve & Black Semi-Matte 30.5x60 Bar top capsule. Colors Available: Silver Flor, Blue Metallic, Green Flor, Gold Bronze, Gold Brilliant, Black Matte, Black Semi-Matte, Burgundy Flor, Burgundy Glossy, Black Glossy, Silver Satin, Burgundy Satin, Yellow, Purple, Copper, Dark Red, Red Semi-Matte, Gold and White Glossy.